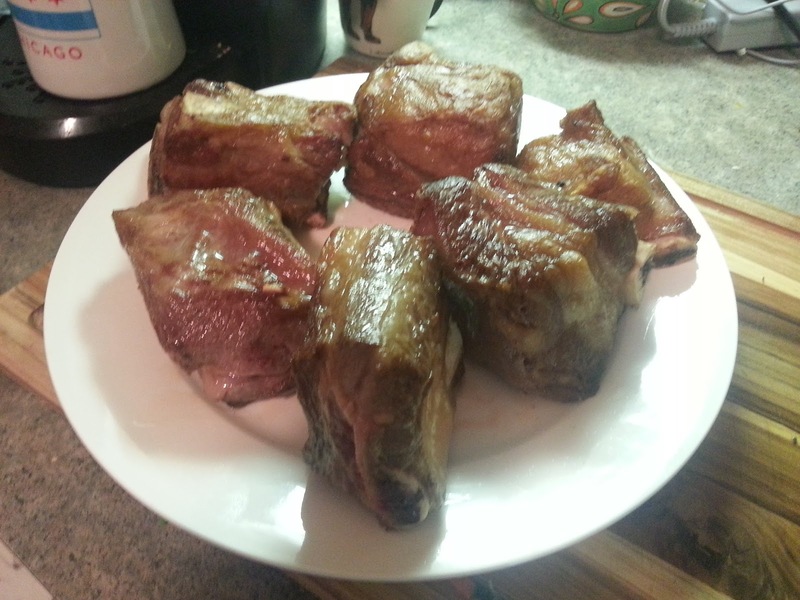 Some short ribs I made today. I picked up 6 short ribs from the store and let them come to room temperature. 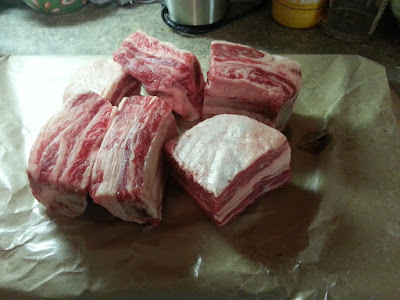 I rubbed lightly in canola oil and salted. To start I seared them on all sides. I used a cast iron dutch oven to complete this. I basically turned the beef on all sides until I got a nice brown caramelization going. 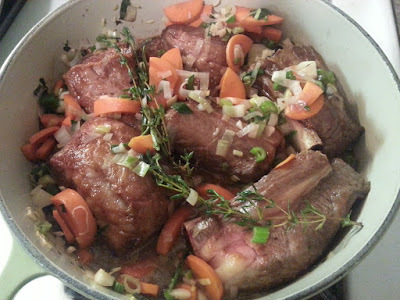 After I removed the short ribs from the pan I added a mixture of sliced leeks, garlic, carrots, and celery. I sauteed this combination in the beef fat for a couple of minutes before adding some wine as well as thyme and rosemary. 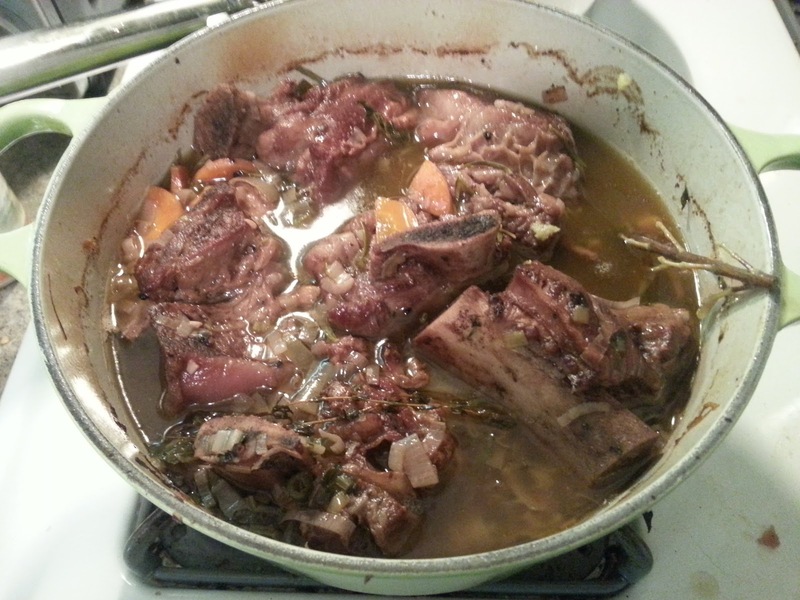 I let this come to a simmer before adding the meat. I tucked all the short ribs amongst the vegetables and set it at 250F for 4 hours. 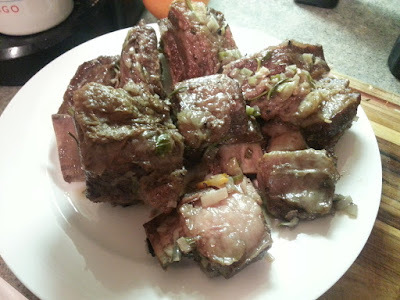 The short ribs were tender and delicious with plenty of fatty bits all around. 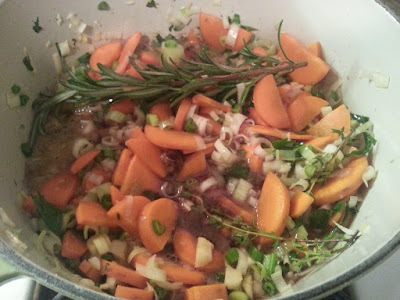 This is one of my favorite things to do in the fall, the house was filled with the aroma of beef, garlic and herbs.